With the outdoor leisure season in full swing, it’s time to give your decking a little TLC. South-facing decking can easily dry out and lose its natural colour and decking in an area shaded by bushes or trees often becomes slippery. 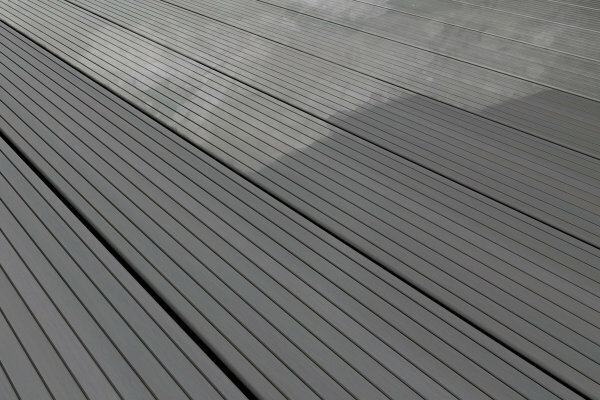 Fortunately, with a little maintenance, you can keep your decking looking its best and performing to its full potential. Part 1 of our ‘Beautiful Wooden Floors’ series walks you through the steps for keeping your new or old decking in tip-top condition. 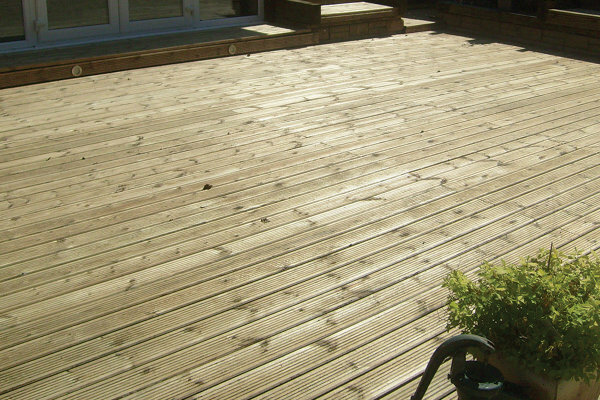 Softwood decking generally comes pre-treated with preservative. If the pressure treated timber has been freshly treated, it should weather for 2-3 months before applying a paint or preservative product. This allows any salts from the treatment process to work their way out of the wood. If, for whatever reason, your softwood is untreated, you will need to coat all boards and posts with wood preservative before installation. Protecting decking in this way will help to guard against common problems such as insect attack, rot, mould and algae. Make sure you coat all sides, including sawn edges, for full protection. Once the preservative has dried fully (refer to the manufacturer’s instructions), your decking is ready for oiling, staining or painting. Ideally, you should add your final coat before installation to allow for the best possible protection. NOTE: Some wood preservatives contain wax which is compatible with an oil top-coat but can prevent paint and stain finishes from adhering. Choose your preservative according to your desired top-coat system. After installation, leave the wood untreated for six months. This allows the natural oils to erode and the tight surface grain to open up, giving decking treatments and finishes better penetration and adhesion. Some surface coatings will still struggle to penetrate seasoned hardwood. There are, however, specialist treatments such as Osmo Teak Decking Oil, that are designed to work with the properties of hardwood. Using a decking cleaning product, remove all surface dirt, debris, loose paint, mould and algae with a power washer or stiff broom. If any unstable paint remains, it can be dealt with in Step 3. 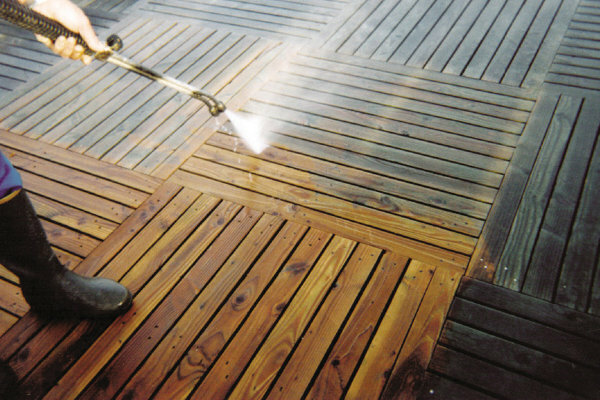 Your decking will need to dry thoroughly for at least 24 hours before applying any treatments. NOTE: Household detergents can cause your finish to adhere poorly, so it is important to only use a suitable decking cleaner. 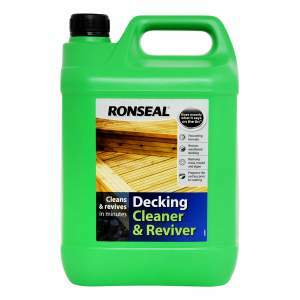 After washing, reviving decking with a product such as Osmo Wood Reviver Power Gel can work wonders. Decking restorers reverse UV and water damage and return wood to its natural colour. Most decking restorers are applied by scrubbing the solution into the boards with a stiff broom or abrasive pad, and then rinsing off with clean water after 15 – 20 minutes. You should see the effects within 24 hours. Sand the surface with 120 grit abrasive paper or abrasive pads for detailed areas, to remove any remaining loose finish and to create a key for optimal adhesion. If you are refurbishing decking and changing the type of finish, you will need to sand your boards back to bare wood. In some cases, you may need to use a suitable chemical stripper. Wood that has been taken back to bare wood will need to be treated with a preservative. Your coating system, and the number of coats required will depend on your choice of finish. Always refer to the manufacturer’s instructions. 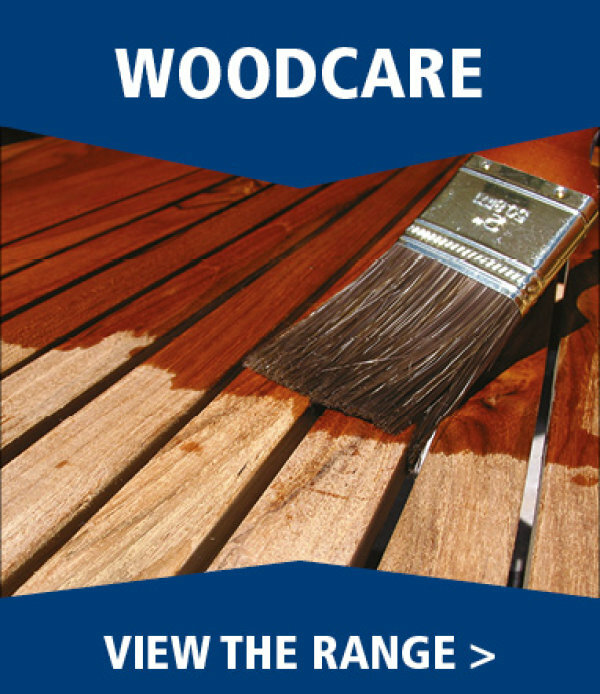 Treating decking with oil enhances the look of the natural wood whilst providing protection and durability. Oil penetrates the timber, replacing natural oils that are lost over time, and creating a waterproof surface. Oil finishes benefit from not cracking or peeling with time, and high-traffic areas can be ‘patch’ restored. Coloured finishes tend to provide higher levels of UV protection. 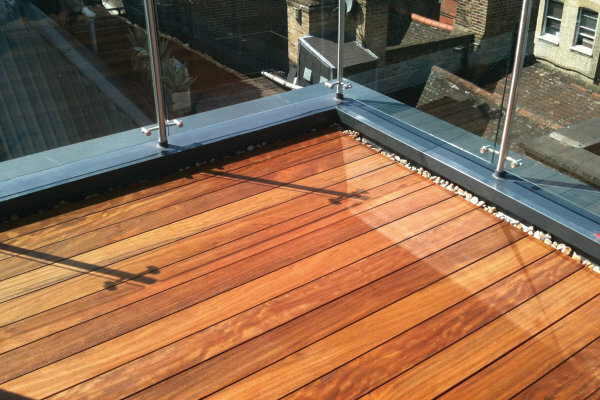 Products such as Liberon Decking Oil and Osmo Teak Oil come in clear or subtle colours, in matt or satin finishes. Reviving decking is simple with rich-coloured stains that are weatherproof, tough and durable. The finish is generally semi-opaque and varnish-like, allowing the grain of the timber to show through. 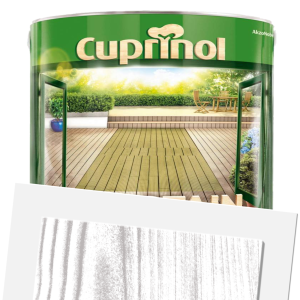 Stains with specific properties are available, such as Cuprinol Anti-slip Decking Stain and Sandolin Decking Stain and Protector. If you like the natural look, treating decking with a protector product is an alternative to oiling. Translucent in colour, it will provide protection from sunlight, rain and foot-traffic without changing the appearance of the wood. Decking paints provide an opaque finish in an array of natural, subtle, bright and bold colour options. 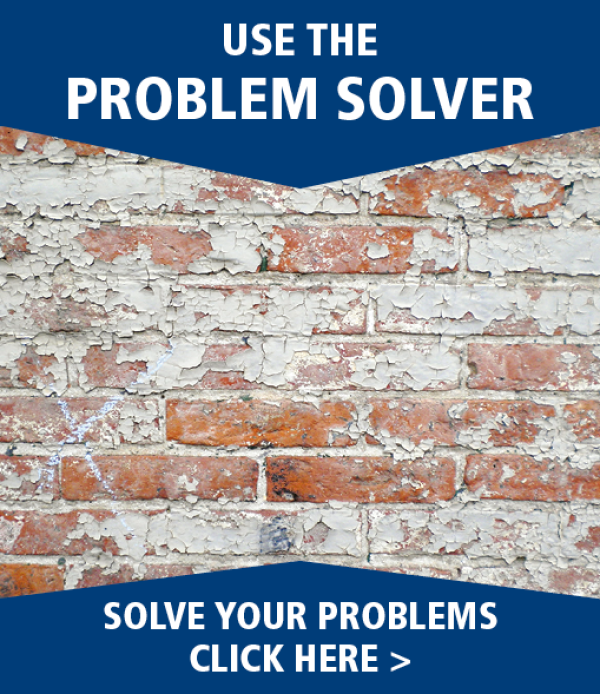 Paint products fill in small cracks and seal splinters in addition to adding weatherproofing and durability. They can provide a quick facelift to tired-looking decking or create a bold response to this year’s colour trends. NOTE: Be sure to use a decking-specific product. Other exterior garden paints are not durable enough to withstand foot-traffic.